SSC CGL 2017 Tier-1 Exam May be Replaced with an NCS ALL India Common Entrance Exam for Graduate Level Posts. 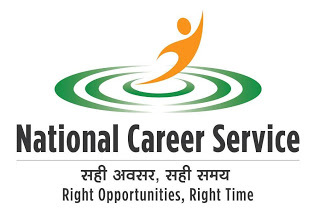 Moreover, there is a news regarding Scrapping of Staff Selection Commission (SSC) and a new Organization called National Career Service (NCS), which operates under the Ministry of Labour and Employment may conduct the future recruitment exams for ALL Non-Gazetted Government Jobs in India. What is National Career Service(NCS) Portal ? NCS is an online portal under the Ministry of Labour and Employment, that provides Job Related services to Job Seekers in India. But, now it looks that NCS will be given a Bigger Responsibility . It is expected that NCS will conduct the Common Entrance Exams for various Government Jobs in India. The concept of Common Entrance Exams was implemented in 2011 with the Introduction of IBPS Common Exam for Jobs in Public Sector Banks. Just Like IBPS is doing the Recruitment on the behalf of Banks, NCS will do the Recruitment for on the behalf of Central Government Departments. It will only include Non-Gazetted posts. How National Career Service Portal will Work? Just Like, other Entrance Exam, NCS, will issue an Advertisement to apply for Common Entrance test. 1) NCS will provide the One Time Registration Facility to Job Seekers to apply for various Government Jobs. Graduation: Exam for Graduate Level posts. 3) NCS will conduct the Written test (Tier-1) through Computer Based Mode for these exam. Thereafter, it will issue the Scorecards, that will be made available for Students and the Recruitment Agencies Like SSC, RRB. 4) The Scorecards will be valid for 1 years from the Date of declaration of results. 5) Thereafter, candidates, can apply for Tier-2 Exams to be conducted by Recruitment agencies like SSC, RRB etc. 6) Final Selection will be done the basis of Merit in the Tier-2 Examination only.